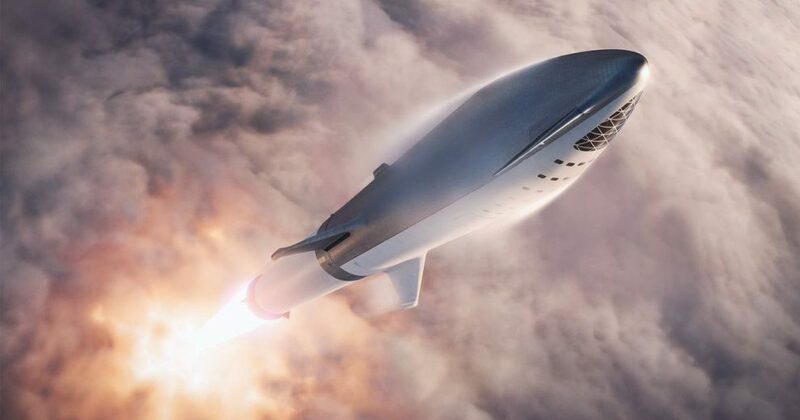 LOS ANGELES — SpaceX is expected to name the first private passenger to fly around the moon at an event Monday evening. CEO Elon Musk will likely name the individual that SpaceX says will be the 25th person to swing around the backside of the moon and the first since America’s Apollo missions ended in 1972. The announcement is scheduled for 6 p.m. EST at the headquarters of Space Exploration Technologies, or SpaceX for short, in the Los Angeles suburb of Hawthorne. The mission will be “an important step toward enabling access for everyday people who dream of traveling to space, SpaceX said in a tweet. But this isn’t an just a space tourism flight like those being envisioned by Virgin Galactic. SpaceX has bigger plans. Musk posted photos Sunday showing a huge rocket that will be used for the mission, which also happens to be the one that the company plans to use to create a Mars colony in the next decade. The hashtag on his next tweet was #OccupyMars. The drawings show a huge rocket with fins in its midsection. SpaceX calls the rocket the BFR, which officially stand for Big Falcon Rocket, though the F in the name is more commonly thought to stand for something else. With the launch of a satellite earlier this month, SpaceX said it now has 60 successful blastoffs. The company currently has the Falcon and Falcon Heavy rockets.